Did you know that you only have 2.6 measly seconds to win over your visitors when they land on your website for the first time? You see, the most crucial element of any piece of content or web copy is not how well it’s been optimized for search engines, or how compelling the opening paragraph is, or how eye-catching the featured image looks or anything like that. It is, in fact, the headline title. I’ve said this before, if your headline title is not compelling enough, if it’s not convincing, no one will click on it. Here’s a statistic that I’ve shared numerous times on this blog. So with that said, it’s time to stop writing sloppy headlines and get creative. I want to share with you 5 useful tools for creating magnetic headline titles not just for your blog posts, but for all your web copy. Let’s start with one of the best headline tools in the business right now. The Thrive headline optimizer plugin is what I currently use to help me create magnetic headlines for my blog copy. 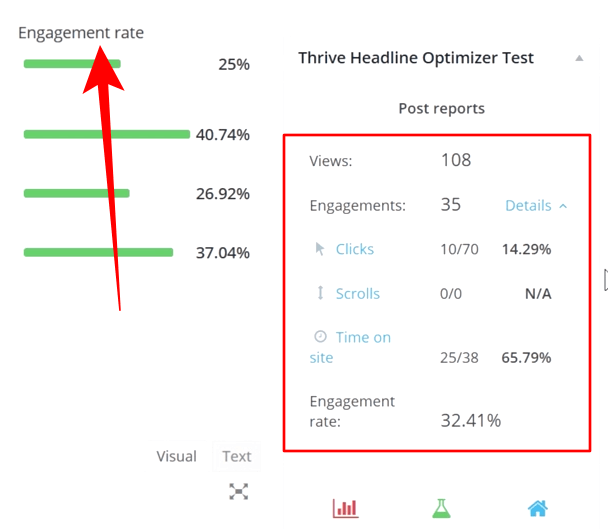 Well, In a nutshell, the Thrive Headline Optimizer tool is an A/B split testing tool for your headline titles. You can create as many headline title examples for a single post or page on your WordPress website, and then test them against each other over a period of time to see which title gets the most clicks, engagement and time on content. 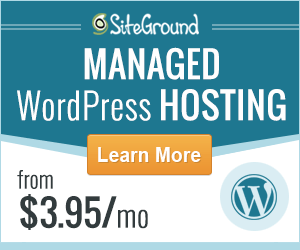 The plugin also comes with a host of useful metric and analytical tools. I actually wrote a detailed review complete with a tutorial video for this plugin here. 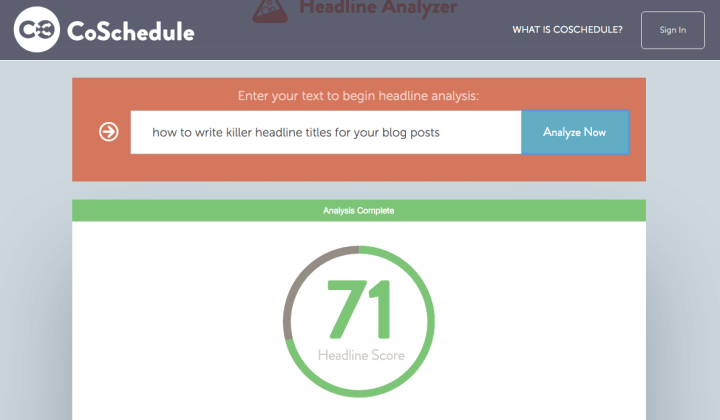 CoSchedule has a useful headline analyzer tool, and when used properly, it can give you some truly useful insights into how well your headline titles have been constructed. It takes into consideration crucial factors like word balance, character and word count, keywords and more. You also get an overall headline score. This tool also lets you know if your headline is too long. I’ll talk more about title length at the end of this post. Personally, I’ve found using this tool in conjunction with the Thrive Headline Optimizer plugin to be the magic formula for creating perfect headlines every time. Powerful headlines can also evoke emotional feelings. Using emotion in your post titles, for instance, can really help evoke curiosity and interest in your content. 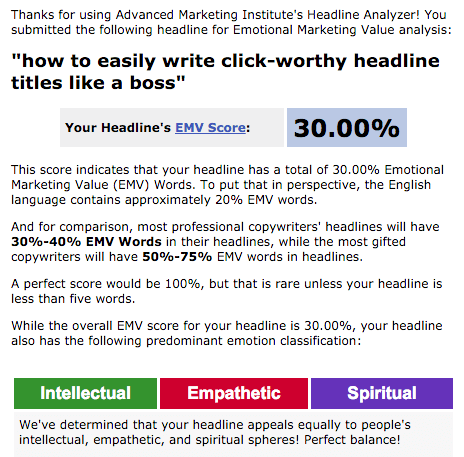 The Emotional Headline tool can help you closely analyze your titles to see whether you’re using effective emotional words, and then give you an EMV score based on that. (Emotional Marketing Value). In addition, the tool will also give you an indication as to what kind of emotions your headlines will create for your readers, for instance, will it be intellectual, empathetic or spiritual, or all of them? Take a look at the screen grab below. I’ve created an example headline title: “how to easily write click-worthy headline titles like a boss”. You can see from that example the score I was able to achieve was 30 (30% emotional marketing value). Give this a try with your titles and see what score you come up with. Link bait, or click bait titles as I like to call them, are great for grabbing readers attention quickly. However, be very careful with this tool, whilst it’s great for coming up with link bait suggestions, you’ve still got to ensure that your title remains 100% relevant. 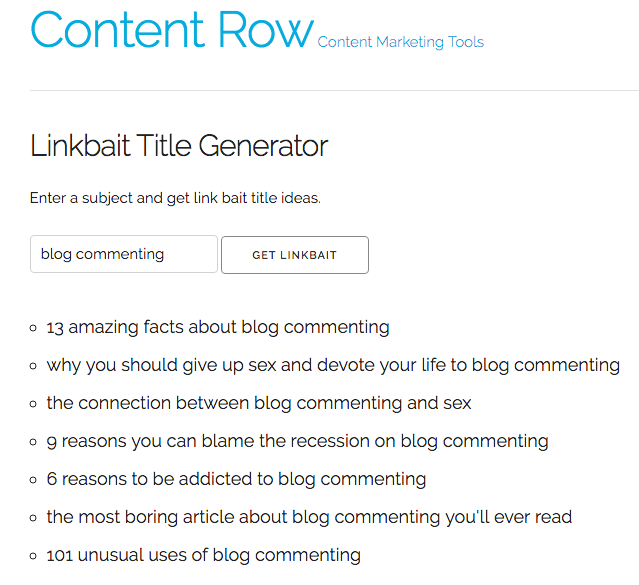 With this tool, all you do is enter a topic, something you’re writing about, for instance, and then hit get link bait. As you will see from the screen capture below, using the topic “blog commenting” I’ve been able to find a few examples of link bait titles. Once again use the ideas it comes up with as a base to come up with your own relevant link bait headlines. Sometimes you might have a really great idea for a blog post, but creating a title for it might be a bit of a challenge. That’s where the content idea generator tool comes in. This tool is super cool and so fun to use. 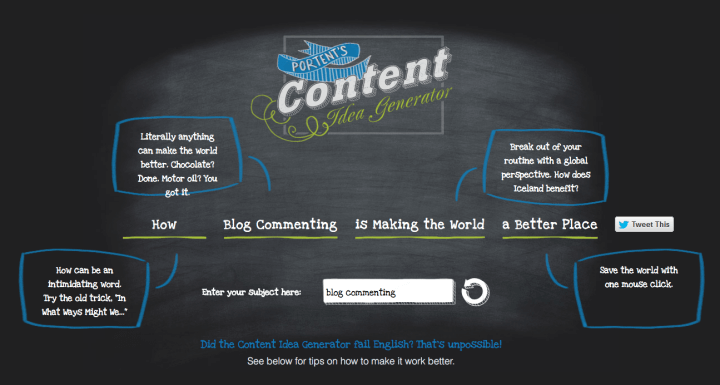 All you do is enter your topic or keyword and hit the generate idea link. It will generate a title idea for you, as well as explain parts of your title and where to make changes. If you don’t like the first suggestion, you can simply hit the refresh button a few times until you find a title that you can work with. 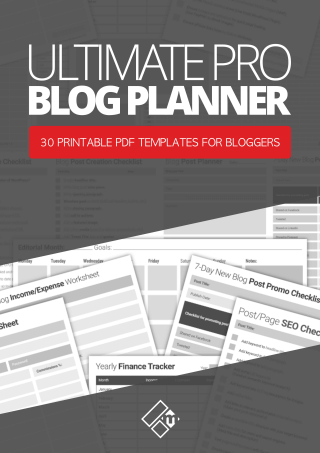 I’ve used this tool numerous times myself when I’ve become stuck for a really good catchy title for a blog post idea. So there you have it, five awesome online tools for creating magnetic headline titles for your content, be it your blog posts, landing pages, sales pages or what ever else. Now one last thing I want to talk about quickly and that’s your title length. Just remember this, if people are searching for your content using the search engines, you want your title to be short and descriptive so that it stands out. You don’t want it to be too long so they miss the point entirely. Make sure, however, when you construct your headlines you get to the point quickly. It’s OK using power words and emotional marketing and what have you, but it’s also important to keep things short and sweet. Oh and don’t forget about relevance. I can’t stress enough on the relevance. I use CopyBlogger because everyone gets it. Look at how they construct their headlines for their posts, for instance. Most of them are super short, relevant and make you want to click on them to read the content, right? 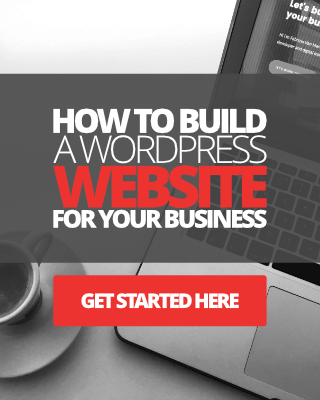 You don’t have to be CopyBlogger to achieve this for your site, use a few of the tools I’ve mentioned above, use your common sense and you’ll be writing winning titles for your web copy every single time. Do you have any tools or tips you want to share in this post? Is there something you’re using right now that I’ve not mentioned above that would be useful for Magnet4Blogging readers? Please leave me a comment below as always. Or if the comment section is closed, send me a quick email here. Gotta get those titles down Fabrizio to reel in readers. My best posts snag attention spans. Packaging does it. Or, the titles do it. Because the title is the first impression. The lynch pin. Sets the table. Go outrageous or practical or whatever; use these tools to draw in raving readers. Hey Ryan how goes it my friend. Too right mate, titles are like the juicy worms that the fishes cannot resist right? OK that was a bit lame, but yeah they are a critical element of blog writing, and something that’s so easily overlooked when a lot of folks are so engrossed in keywords and SEO and all the rest of it. Glad you enjoyed the list of tools, there’s some real treat’s amongst them. Before using Content Idea Generator, I go to Google and simply look for relevant articles there. After a short brainstorming, I create my own headline. For sure, I check it via plagiarism detector afterwards to avoid accidental duplication (in case you are looking for a good one, Unplag plagiarism detector is very handy). Hie Selena, welcome to my blog, great to have you here. Thanks for sharing your strategy, that’s interesting. I do use Google to search for topic ideas that are popular as well, but not always. I’ve not heard of Unplag plagiarism before, so I’ll be sure to check that one out. Thanks again Selena and have a great weekend! Heyyy there Fabz! 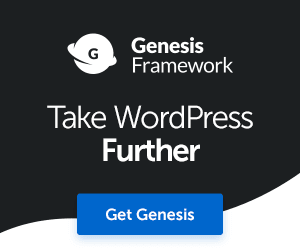 Super awesome list of tools that you have shared here. I absolutely love co-schedule’s headline analyzer and the EMV Headline analyzer too. They are really very helpful tools to use for creating headlines. Hey Kim, great to hear you’re using some of these yourself. In combination these can be very powerful. One of the things I’ve been so used to doing before now is writing super long headlines. Using the CoSchedule too has really helped me to compact them a bit more.